After at least six months of handwringing, Yemen’s President ‘Ali ‘Abdullah Salih has finally signed the Gulf Cooperation Council’s (GCC) deal to step down as president of Yemen. It would require Salih to step down when a new president is elected after 90 days from the date of signing. There is hope for the future, yet there is much to fix and many challenges ahead in Yemen. The next government will have a difficult time putting the country back together as Salih’s dithering has led to a loss of control at the fringes of Yemeni society in the south, but even more so in its volatile north. The Huthis, a revivalist Zaydi movement, whose main base of operation is in Sa‘da, is wrestling control of Yemen’s northern governorates from the Yemeni state, its tribal allies, and Islamist factions. Within a few hours of Salih signing the GCC deal, the leader of the Huthis, ‘Abd al-Malik Badr ad-Din al-Huthi, released a communiqué denouncing the deal. ‘Abd al-Malik emphatically stated: “We consider any agreement with the oppressor is a betrayal of the blood of the martyrs and the wounded, and a disregard for the sacrifices of the Yemeni people and a painful stab against the free rebels who have endured all kinds of suffering and imprisonment, torture and murder of more than ten months.” ‘Abd al-Malik proclaimed that the revolution would continue until the demands and goals of the revolutionaries are met. Prior to the Yemeni uprising that began following the fall of former Egyptian President Hosni Mubarak in late January 2011, between 2004 and 2010, the Yemeni state fought the Huthis in six rounds of battles; the last with the help of the Saudis. Besides their pent up antipathy toward Salih’s regime, one reason that the Huthis may be against the resolution is because they have made a lot of progress over the past few months in taking over three governorates in northern Yemen. The past few months have seen renewed fighting in northern Yemen this time between the Huthis and Islah, one of the main opposition parties in Yemen that is a coalition of Ikhwanis (the Muslims Brothers), Salafis, and tribal elements from the Hashid tribal federation. At the outset of the Yemeni uprising, ‘Abd al-Malik announced his support for the pro-democratic protests and for regime change. Large crowds of Huthi supporters joined in protests in Sa‘da where the Huthis main base of operations lies. At the same time, the Huthis saw an opportunity to wrestle control of Sa‘da back from the state as Salih’s regime became isolated in Sana‘a. On March 26, the Huthis took Sa‘da and installed new military checkpoints as well as established their own administration in Sa‘da Governorate, independent from Yemeni authorities; appointing former arms dealer Fares Mana‘a as the new governor. The Huthis also began an offensive in al-Jawf Governorate, which is southeast of Sa‘da. Fighting picked up in July against fighters from Islah where hundreds are believed to have died on both sides. There are reports that the Huthis are in control of al-Jawf now, too, and have now turned its attention to Hajjah Governorate, which is south of Sa‘da. On November 9, the Huthis beat back the pro-government Kashir and Aahm tribes and were able to take control of Kuhlan Ash Sharaf District, which is vital since there is a highway there that connects Sana‘a to the Red Sea. Pro-government sources in Hajjah believe the Huthis are taking these strategic positions to prepare an attack on Sana‘a. If Hajjah falls to the Huthis they will be in control of three governorates in northern Yemen. Another issue at hand is increasing tensions with the Salafis at the Dammaj Institute in Sa‘da, which could exacerbate already thick sectarian tensions. A month ago, the Huthis laid siege to the Dammaj Institute complex after a letter from Imam Yahya al-Hajuri, the principal of Dammaj Institute, was leaked to the Huthis. In the letter, al-Hajuri thanked Brigadier General Yahya Mohamed ‘Abdullah Salih, the president’s nephew and chief commander of Yemen’s security forces, as well as the Saudis for fighting the Huthis in previous rounds of battle. The Huthis are also claiming that Salafis are bringing weapons inside their educational institutions. Making matters worse, al-Hajuri has sanctioned a jihad against the Huthis. Attempts at reconciliation have been futile, as both sides have broken multiple potential ceasefires over the past few weeks with continued low-level fighting. Tensions have also been heighted because according to ‘Abd al-Malik, two weeks ago, the Huthis foiled a suicide attack in al-Jawf on Eid al-Ghadir, which is celebrated by Shi‘a to commemorate the Muslim prophet Muhammad’s speech appointing ‘Ali ibn ‘Abi Talib as his successor, which is a contentious issue between Sunnis and Sh‘ia. Although ‘Abd al-Malik blamed the failed attack on the United States as a way to ratchet up sectarian strife as he did in August when there was a successful car-bombing, this case like the one in August was most likely perpetrated by elements in or affiliated with al-Qa’ida in the Arabian Peninsula (AQAP). Earlier in the year, AQAP declared jihad against the Huthis, whom they view as agents of the Iranians or as they call them rawafid (a derogatory term for Shi‘a meaning rejectionists). AQAP also claimed responsibility for a car bomb attack that killed ‘Abd al-Malik’s father, Badr ad-Din al-Huthi, who was seen as the most influential Zaydi scholar of the past generation, and later his funeral procession both in late November 2010. Additionally, there are reports on global jihadi forums that AQAP has set up training camps in Sa‘da with 200-300 fighters. There is no end in sight for the potential of even more expanded fighting in Yemen’s north between the Huthis and Salafi elements as well as AQAP. The destabilization of Yemen’s north has been a worry of the Saudi regime, which is one of the main reasons they entered the sixth battle between the Yemeni state and the Huthis in late 2009 and early 2010. As Gregory Johnsen has noted on numerous occasions, Saudis main policy with regard to Yemen is to keep it stabilized enough so it that does not become a failed state, at the same time, not strong enough so that it does not challenge the Saudi state. If the Saudi’s decide to join the fight again to try and suppress the Huthis it has regional implications as well. Although the Huthis follow the Zaydi school of Shi’ism while the Iranians practice Imami (or Twelver) Shi’ism there is a level of affinity. Unlike Hizbullah, HAMAS, and Palestinian Islamic Jihad the Huthis are not an official proxy of the Iranian state. That said, due to the sectarian overtones of the fight between the Saudis and the Huthis, Iranian media endorsed the side of the Huthis. The Iranian government also decided to name some of their streets after Huthi “martyrs” from the fighting. As such, the conflict in northern Yemen could quickly become another chess match between the Saudis and Iranians in their cold war. Even if the conflict in northern Yemen does not become a strategic regional battle, the fragile state of the northern governorates is a worry to the fractured Yemeni state. Indeed, the new Yemeni government has much to deal with including a spiraling economy, depleted water and energy resources, continued humanitarian disasters, secessionism in the South, and disillusioned youth who jump started the uprising; yet a resolution to the decade-plus long grievances of the Huthi movement and the Zaydi population in the north at large would go a long way in hopefully providing space for the new Yemeni government to deal with even more dire issues. What’s in a Name: The Death of the al-Qa’ida Brand? This is my first piece back after doing Middlebury’s Arabic program this past summer. Clearly, I couldn’t wait to write since I wrote this on the plane ride back this past Saturday. Looking forward to your feedback. Last week, Ansar al-Shari’ah, (Supporters of Shari’ah), based in Yemen, released its first video titled “The Opening [Conquests] of Zinjibar.” Since mid-April, many analysts and scholars have wondered where this apparently new group came from, who its members were, and what connections it has to al-Qa’ida in the Arabian Peninsula (AQAP). 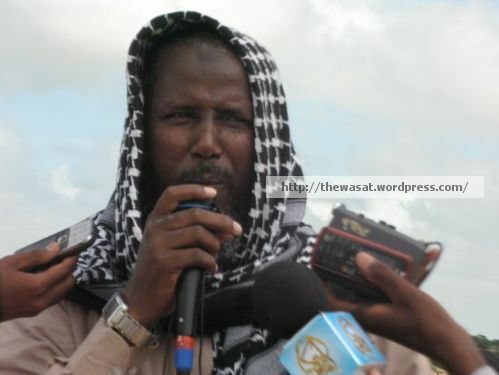 The name Ansar al-Shari’ah was first mentioned in an unofficial audio release by AQAP’s leading shari’ah official, Shaykh Abu Zubayr ‘Adil bin ‘Abdullah al-Abab, who conducted a question and answer session with online global jihadi activists through PalTalk in Ghorfah Minbar al-Ansar (Pulpit Room of the Supporters). 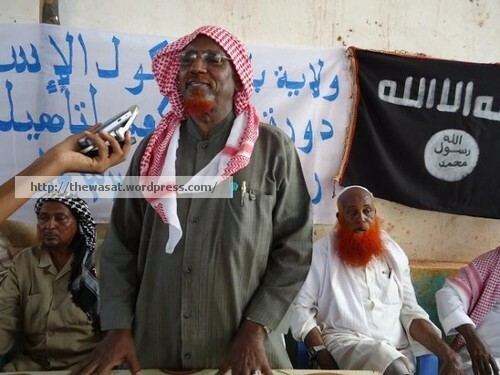 The first question was “What is the general situation of the mujahidin in Yemen and the status of the Shabab Ansar al-Shari’ah?” al-Abab responded that when they recruit new members to AQAP, they first introduce themselves under the banner of Ansar al-Shari’ah. But why would they need to do that? Has the AQ brand really become that tarnished? And is Ansar al-Shari’ah really AQAP? 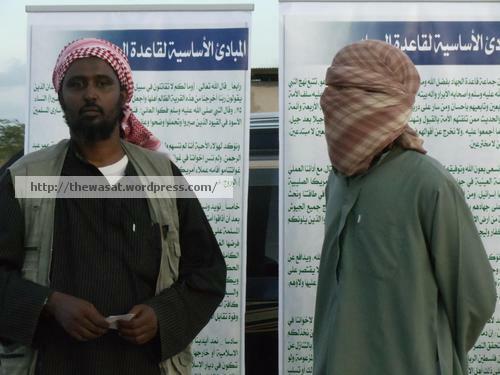 Some have been skeptical of links between AQAP and Ansar al-Shari’ah. While conclusive evidence is lacking, there are several strong indicators. Ansar al-Shari’ah’s first video release, which was not published by AQAP’s media outlet al-Malahim (the Epics), highlighted “martyrs” who were also eulogized in the most recent issue of AQAP’s Inspire Magazine — Abu ‘Ali al-Harithi, ‘Ali bin Salih bin Jalal and ‘Amar ‘Abadah al-Wa’ili. Although this is not proof of collusion, there clearly seems to be some overlap. Ansar al-Shari’ah may be a subsidiary of AQAP used for recruitment and foot soldiers in Yemen’s incipient civil war. It is telling that AQAP may be recruiting individuals using a different name. We have also recently learned that Usama bin Laden may have been looking to change the name of al-Qa’ida central. According to press reports based on leaked information from the raid that killed bin Laden, al-Qai’da’s central leadership in Pakistan was debating a couple of options for its name. This was spurred in part by the Western habit of referring to the group as al-Qa’ida, rather than its official name of Tandhim Qa’idat al-Jihad (The Base Organization of Jihad). The leadership felt that the West’s habit of omitting the word “jihad” robbed them of some of their religious legitimacy. Unfortunately for al-Qa’ida, the two alternative names on the table were a mouthful – Ta’ifat at-Tawhid wa-l-Jihad (Sect of Monotheism and Jihad) and Jama’at ’I‘adat al-Khilafah al-Rashidiyyah (Restoration Group of the Rashidun Caliphate). Ultimately, they decided to stick with Tandhim Qa’idat al-Jihad. The name game isn’t new. al-Qa’ida in Iraq (AQI) attempted to rehabilitate its image following the death of its leader, the notorious butcher Abu Mus’ab al-Zarqawi, in 2006. AQI changed its name to the Islamic State of Iraq (ISI) as a way of rebranding itself because many Iraqis were repulsed by the organization’s overuse of violence, as well as the perception that it was made up of foreigners. The latter is also the reason they announced Abu ‘Umar al-Baghdadi, a purported Iraqi, as their new leader, although it has been disputed whether he was actually a real person. In the years since, the name change has not done much for AQI’s credibility. It remains a threat, but is a shadow of its former self. 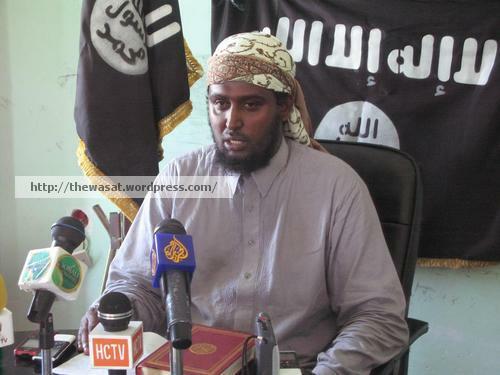 Another place where naming is an issue is in Somalia, where Harakat al-Shabab al-Mujahidin (The Movement of the Holy Warrior Youth) has pledged allegiance to Osama bin Laden but has not changed its name to become an al-Qa’ida franchise. Leah Farrall recently wrote an excellent overview on this topic in the most recent issue of the CTC Sentinel. Although it is a great addition to the literature, there were also other explanations for the lack of formal name change. Reportedly, al-Qa’ida itself opposed the name change because it did not want al-Shabab to sully its so-called “street cred” by using its polarizing brand. It is difficult to ascertain whether these reports are credible. But the very discussion shows the growing pitfalls of the al-Qa’ida brand. All told, the al-Qa’ida brand is not favorable anymore – even for its senior leadership. It’s a big problem if AQAP is able to recruit more individuals by rejecting the brand and taking on a name with more religious significance. Even if the brand name is discredited, AQ’s ideas still resonate with many, especially if it can be repackaged for local contexts, as in the apparent case of AQAP. As we have seen in the past, AQ is a very nimble organization that learns, evolves, and quickly adapts to a rapidly changing “battlefield.” It would be wise for our policy makers and government officials to heed these subtle changes in its counterterrorism strategies. Otherwise, we are fighting an imaginary enemy, one that only exists in our minds or that existed in 2001 or 2008, but not in 2011. Ansar or the supporters played an important role in early Islamic history when the Muslim prophet Muhammad was still preaching and calling people to Islam. Ansar were the individuals in Medina that helped Muhammad and his followers following its hijra from Mecca. Therefore, the use of the term Ansar acts as a strong link to the past that appeals to the average Muslim. Further, when attaching it to the Shari’ah, which has primacy in the lives of religious Muslims, Ansar al-Shari’ah becomes a catchy and useful name that is stronger in Islamic terms than Tandhim Qa’idat al-Jihad. The Global Jihad Internet Forum Launches New Sub-forum Dedicated to Anwar al-‘Awlaqi: A Sign of His Growing Influence? The inauguration (or “opening [for the first time],” to use a more direct translation of the Arabic announcement) of a new sub-forum on one of the most prominent Arabic-language jihadi-takfiri Internet forums is significant in that it provides further evidence of al-‘Awlaqi’s growing appeal outside of his original English-language audience base. The last three major videos or audio messages he’s been featured in or recorded have all been in Arabic. Two videos, an “interview” produced by AQAP’s Al-Malahem (Malahim; Epics, Epic Battles) Media Foundation that was released in May 2010 and an independently-released (it seems) November 2010 video message were both released first in Arabic and only later in an English translation. Various lectures and writings of his have been translated into a growing number of languages used by jihadi-takfiris including Urdu, Russian, Somali, Arabic, Indonesian, French, German, and Bosnian. Al-‘Awlaqi has also slowly but steadily become a more popular figure in graphic artwork produced by cyber jihadi-takfiris and posted to Arabic Internet forums. Despite the growing evidence suggesting that his influence is increasing over a broader spectrum of the jihadi-takfiri community (or communities), his exact role, if any, in AQAP remains unknown and debated. Yemen expert Gregory Johnsen has pointed out that al-‘Awlaqi’s role in AQAP is frequently exaggerated in North American and European media because he is more well known to its journalists and speaks English. Johnsen has also argued that the militant preacher’s role, however, is likely not as key to AQAP as the roles of its senior leadership, which includes amir Nasir al-Wihayshi, deputy amir Sa’id al-Shihri, senior military commander Qasim al-Raymi, and chief ideologue ‘Adel al-‘Abab. In a critique of Johnsen’s argument, Thomas Hegghammer argued in a November 2010 Foreign Policy magazine online article that al-‘Awlaqi is likely AQAP’s head of foreign operations and thus should be a primary target of intelligence agencies. Anonymous U.S. government sources claim that evidence was uncovered in Usama bin Laden’s Pakistan hideout that the Al-Qa’ida Central founder dismissed a change in AQAP’s leadership from al-Wihayshi to al-‘Awlaqi, though the evidence of this claim remains unavailable for critical examination. Whether or not al-‘Awlaqi is a member of AQAP, he is part of an informal group of charismatic scholar (or preacher)-ideologues who provide AQC, AQAP, and their sister movements with a unique mix of, however contested, an element of juridical authority, personal charisma, and rhetorical and oratorical skills. Together with figures such as Abu Yahya al-Libi, ‘Atiyyatullah bin ‘Abd al-Rahman al-Libi, and Khalid al-Husaynan, al-‘Awlaqi serves as part of the vanguard of the transnational jihadi-takfiri trend’s charismatic “missionaries of jihad,” an argument I develop further in a forthcoming article. I had originally planned to post something about the debate on drones in Yemen earlier in the week, but got caught up with other commitments. Since then, though, there has been a great back and forth conversation between Clint Watts at Selected Wisdom (see here and here) and Brian O’Neill at Always Judged Guilty (see here). To catch those up with what they have discussed thus far, I will first provide a spark notes version of what they said and then interject with another layer of issues to think about when establishing a long-term strategy and short-term tactics for the war against AQAP. 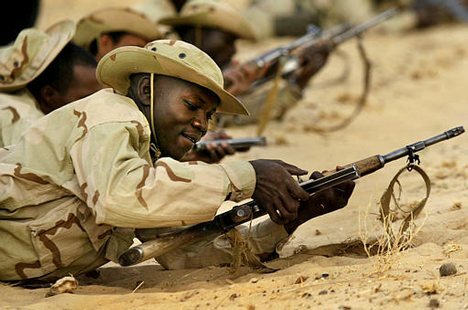 Arm, train and assist Yemeni forces. Provide U.S. foreign aid and conduct diplomacy, soft power catchall. Conduct a counterinsurgency effort to win over the Yemeni populace. Deploy drones to disrupt AQAP’s safe haven. The U.S. needs action and results in Yemen now. Looking at the above options, we are likely to pursue parts of options 2 and 3 no matter what the circumstances. But, option 5 is a must. The U.S. must act, and drones are the most effective option the U.S. has against small-decentralized terror cells immersed in indigenous populations in rugged terrain. What drones do best, or rather as a product of what they do best (killing), is disrupting networks and sewing paranoia. This will become more and more important in Yemen as foreign fighters see it as a profitable place to wage jihad (creating this image is a major short-term goal for AQAP). Drone strikes, even if they don’t end up taking out the leadership, will force it to be on the move and less able to plan operations- though they have shown a remarkable ability to learn and maneuver on the fly. What is frequently lost in discussing Yemen is that future drone strikes wouldn’t be new in the country- in 2002 the US took out AQ’s leader in one of the first successful drone attacks. This was an operation agreed to by both Yemen and the US, with the understanding that it would be presented as an accident … the US was understandably excited by their success, and publicized it. This was dumb. Pesident Salih felt burned, as that opened up a vulnerable flank to charges of lapdogism. Right now, Salih is facing a massive crisis of legitimacy- drone strikes are a painful reminder of a recent past, and will allow not just al-Qaeda but other domestic enemies to charge him with being a puppet who lets Americans kill Yemenis. Our best hope in Yemen, to me, is to maintain Salih’s power while devolving it and working with the tribes, both for security and structural reasons- working directly with them not only helps us keep contact with real power brokers, it also closes off avenues of corruption … Having tribal allies will speed up the process of apprehending AQAP and denying them tribal havens- it won’t be absolute, but it will be better than what we have now. Killing with drones hurts our chances to establish these crucial relationships, and these relationships are the best way to get things done in Yemen. I am very reluctantly, and surprisingly to me, signing off on drone use … But these drone strikes have to come with excellent local intelligence collected through a cultivation of tribal relationships- these will both help the chances of a successful strike and partially mitigate the chances of a blood feud. We have to be smart so we aren’t used by one tribe to take revenge against another. This has to be combined with aggressive soft-power remedies. A civilian’s death can overwhelm the news of one good deed, or ten or 100, but these good deeds have to be so prominent they cannot be ignored. We also have to have an anti-AQAP PR blitz, in Arabic. Without these things, drone strikes are nothing more than a militant sop. I think this is an important start to a crucial discussion individuals in the United States should be having over strategy in Yemen. I am glad to see that guys like Watts who provides a broader picture regarding strategy and Brian with his local knowledge will hopefully lead to the best possible solutions when dealing and trying to dismantle AQAP. First off, I tend to come down on the same side as Watts and Brian regarding the use of drones in Yemen. I believe they are a necessary evil, but I do not believe we should be using them in Yemen at the same rate and level as in the Pakistani tribal regions. As Brian alluded to, establishing tribal relations is crucial and as a result could hopefully provide us with actionable intelligence, which would allow us to accurately target a high-ranking official within AQAP. In situations like that I am all for drones strikes. I believe the ideal scenario would be something along the lines of the successful drone attack in November 2002 in Yemen that killed the leader of AQ in Yemen Abu ‘Ali al-Harithi, which caused minimal collateral damage. The thing I am worried about, though, is if droning individuals becomes a large part of our strategy in contrast to soft power efforts and training Yemeni security officials. As Gregory D. Johnsen has noted in a couple of recent posts at Waq al-Waq, just because an individual or a group of individuals look like al-Qaeda and the tribal violence surrounding them might appear as an al-Qaeda operation, in fact it could be local tribal politics and fueds, and that is something we do not want to get in the middle of. It would only make our efforts significantly harder. As such, in my estimation it would only be prudent to go after senior-level officials in AQAP, which differs from the way the United States has conducted its drone campaign in Pakistan. The politics are treacherous. Launching drone strikes could hinder efforts to solve the northern and southern conflict peacefully. If the United States tried to target an AQAP operative in a Huthi stronghold in northern Yemen and accidentally killed individuals who sympathize with the Huthi cause, it would most likely break the fragile peace and lead to a resumption and major escalation of war between the Huthis and the Yemeni government. Further, in the past round of battle from August, 2009 to February, 2010, Saudi Arabia — which collects a large amount of American military aid — overtly entered the war. A small counterterrorism operation could quickly spiral into a regional war that has nothing to do with AQAP, but could further destabilize the security situation in Yemen and detract from the fight against AQAP. One has to also consider the rise in recent months of violence between AQAP operatives and Yemeni security forces, which has mainly occurred in southern Yemen as well as the recent uptick in violence by the Yemeni government against the southern movement. This could potentially lead southerners to establish closer ties to AQAP, even though each group has different goals. AQAP has already tried to co-opt the southern movement’s banner for cessation, though, under the framework of an Islamic Emirate when releasing a message titled “Message to Our People in the South.” As the leader of AQAP, Nasir al-Wahayshi, states: “We in the al Qaeda network support what you are doing: your rejection of oppression practiced against you and others, your fight against the government and your defending yourself.” As of now, there is no evidence of collusion between the two groups even if the Yemeni government argues otherwise. The southern movement has rejected overtures from AQAP in the past. But if the Yemeni government continues to conflate the southern movement with AQAP and further violence is directed toward the southern movement, it could lead to an alliance of convenience. Although the above is the worst case scenario it is not too far-fetched. For instance, a Yemeni airstrike on January 15, 2010 reported to kill, which ended up being untrue, one of the deputy leaders in AQAP, Qasim al-Raymi, in northern Yemen between Sa’dah governorate and al-Jawf governorate near the region of al-Buq’a. So even though AQAP assets are mainly located in South Yemen, there are AQAP operatives and activities in the northern part of the country as well. Further, the southern movement is a huge catch-22 for the United States. In any other situation, one could argue that the southern movement would be a group that the United States would want to support. This is because they want to reestablish the state they had prior to unification in 1990, which was secular in nature and far more developed than northern Yemen. Also, one of the key leaders in the southern movement Tariq al-Fadhli raised an American flag in front of his residence. It is problematic then that we give so much largesse to Yemen’s President ‘Ali Abdullah Salih who has diverted these funds to violently deal with the southern movement (as well as the Huthis). As such, a group that we should be strengthening we could potentially be leading them into the hands of AQAP because of our unfortunate, but necessary relationship with the snake charmer. As such, the above considerations should be taken into account as well when establishing a strategy going forward in Yemen and particularly the use of drones to hunt down AQAP senior leaders. Note: The point of this article is to explain and show why Anwar al-Awlaki is not as important as individuals in the media and politicians make him out to be. Obviously, he is a threat and we should try and counteract his influence, but it should be based on a real understanding of him and his role in AQAP. US officials believe Asiri [the alleged bomb maker in the plot] is working closely with the radical US-born cleric Anwar al-Awlaki, who has provided the “spiritual” support for attacks on the US as well as being a driving force behind them. First off, who is this US official and where is there any proof of this? This idea has clearly been plucked out of thin air. Before explaining why this statement is completely wrong, it would be prudent to extrapolate on al-Awlaki’s position within AQAP. As Gregory D. Johnsen, an expert on Yemen at Princeton University, has been stating for almost a year now, al-Awlaki is middle management within the AQAP branch. In addition, the recent news that Yemen is putting al-Awlaki on trial in absentia is a sleight of hand. It might appease those who do not know any better, but those who do realize this is a complete charade since al-Awlaki is not the man Yemen should be worried about. If Yemen actually focused their attention on the senior leadership in AQAP one would feel more comfort when Yemeni government officials state they are going after AQAP. The key leaders one should be far more focused on and worried about are Nasir al-Wihayshi, Qasim al-Raymi, Said al-Shihri, Adil al-Abab, Ibrahim al-Rubaysh as well as others. Furthermore, Ibrahim al-Asiri would not be taking spiritual guidance from an individual like al-Awlaki, but rather someone like al-Abab who is one of if not the key religious figure(s) within the AQAP branch. Indeed, one should not discout the potential thorn in the side al-Awlaki can create since he speaks English and can attract westerners to the cause, but one has to remember al-Awlaki has scant influence in the Arab world or in the internal matters of AQAP. He is only worthwhile for potential recruitment and external operations at best. Most of the guys attracted to Al-Awlaki, though, are not field ready or battle tested individuals. Moreover, al-Awlaki lacks military experience or any type of field training. Brian Fishman, an expert on al-Qaeda, recently tweeted that individuals in the movement regard battlefield experience more important than theory, and as Fishman stated: “Awlaki is a keyboard jockey.” As a result, it has been foolish on the part of the media and pundits to make al-Awlaki more than he actually is. For the Christian Science Monitor to argue that al-Awlaki had a larger role in the 9/11 attacks is simply preposterous. Yes, he knew two of the hijackers in the 9/11 attacks who had attended al-Awlaki’s mosque, but that does not mean al-Awlaki had intimate knowledge of the 9/11 attacks. Moreover, in the 9/11 Commision it states there was not enough evidence to implicate al-Awlaki. It takes a big leap of logic to connect al-Awlaki as an important figure in the 9/11 attacks. These types of misrepresentations in some respects has manifested in a self-fulfilling prophecy that al-Awlaki will become more important to the AQAP branch. Not until individuals started over inflating his importance did al-Awlaki appear in any official AQAP media. Just because he speaks English and one can understand him does not make him the top guy in AQAP or on par with Bin Laden. The jury is still out on whether al-Awlaki has risen within the AQAP branch in the past year due to individuals’ hysteria over his connections with some past plots. Based on the information we have, it is far-fetched to believe he is more than a mid-level individual within AQAP that could inspire English speakers to join their jihad. The key is, though, the real power and potential mayhem comes from the Yemeni and Saudi Arabian leadership in AQAP. al-Asiri takes cues from those guys not al-Awlaki whose influence is only in the English-speaking world. It would be a tragedy, though, for individuals with influence to create policies based off of false premises, such as droning al-Awlaki as the silver bullet to solving the problem of AQAP. Another short-sided policy is removing al-Awlaki’s videos from YouTube. If politicians knew a thing they would realize that it will not change anything since al-Awlaki’s materials are also on forums, websites, blogs, facebook, and other places. Further, there are other radical preachers out there too. As such, the idea that al-Awlaki has a large influence in AQAP or is the spiritual leader of AQAP or is the next Bin Laden has to end. Focus on Wihayshi, Raymi, and Shihri instead. This first step will then allow us to make better policy decisions and further allow us to better understand the AQAP branch and hopefully eradicate it from Yemen.